Rwanda reportedly pulled out of a deal with Israel to accept thousands of deported African migrants after the High Court of Justice gave instructions that the resettlement program be monitored by Israeli inspectors. That decision paved the way for Monday’s agreement with the UN that will see many asylum seekers settle in Israel, Hadashot TV news reported. The last straw for an already reluctant Rwanda came after the court told the government in Kigali that if it wants to go ahead with the deportation plan, it must follow up on the welfare of migrants on its soil. For the Rwandan government, already under enormous pressure from other African states to drop the plan, the demand was seen as a blow to its sovereignty and so it withdrew, the report said. The report came hours after the government announced it had scrapped the controversial plan to deport African migrants to third-party countries — understood to be Rwanda and Uganda — and replaced it with a new one, quietly negotiated with the UN, that would see some 16,250 asylum seekers sent to Western countries, while a similar number would remain in Israel. Citing sources close to Netanyahu, the report said that the government kept a tight lid on the status of the Rwandan plan even after it was aborted, in order to prevent the United Nations refugee agency from improving its negotiating positions. According to the agreement, the United Nations High Commissioner for Refugees will work to find homes in Western countries for at least 16,250 of the asylum seekers in Israel, while Israel will agree to give temporary status to the remainder. The status of the latter group will be reevaluated after five years. 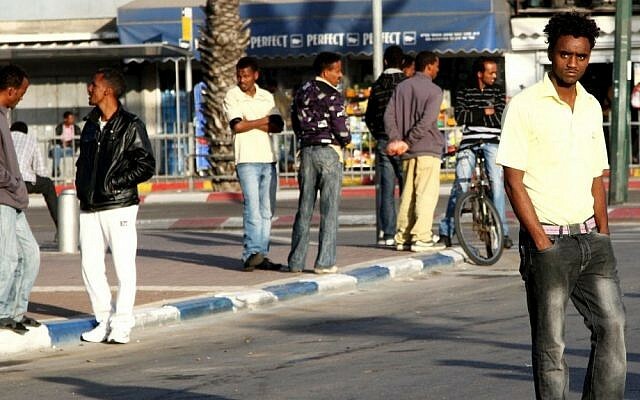 Prime Minister Benjamin Netanyahu said Monday night that the thousands of African migrants who are allowed to stay in the country will be removed from Tel Aviv, where they currently reside, and sent to kibbutzim, agricultural villages, and other communities. In a Hebrew-language video posted to his Facebook page, Netanyahu defended the newly unveiled plan, which drew criticism from Education Minister Naftali Bennett and residents of south Tel Aviv, who have been campaigning for the removal of the migrants from their neighborhoods. 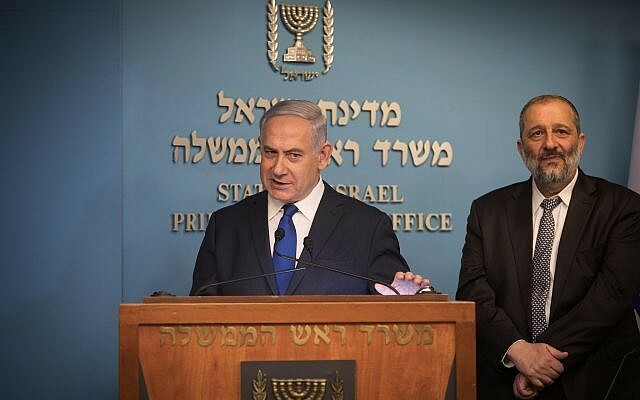 The heads of the southern Merhavim and Sdot Negev regional councils rejected Netanyahu’s message, calling it “a sad statement that doesn’t deal with the problem,” and asserting that their communities would not take in any migrants. 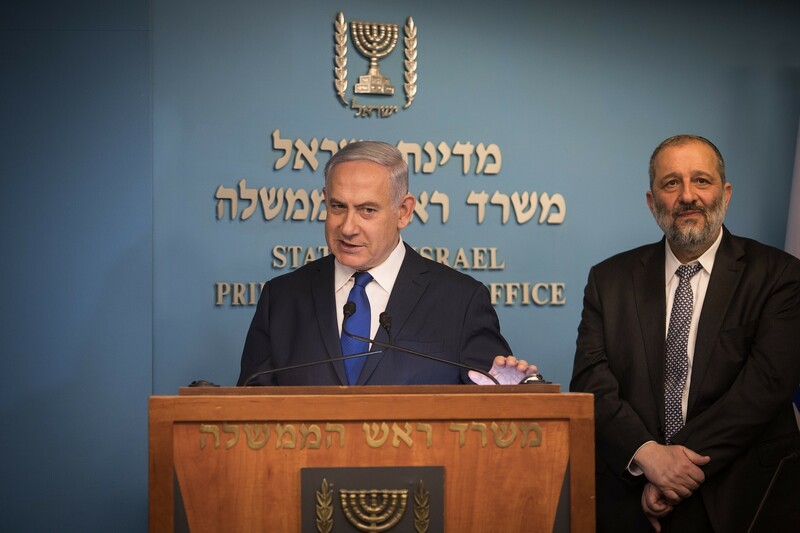 The prime minister first presented the plan earlier Monday at a press conference with Interior Minister Aryeh Deri. The migrants who leave Israel will be resettled in countries “like Canada or Germany or Italy,” Netanyahu said, without elaborating. Other reports said the United States and Sweden would also take in some of the number. Deri said migrants who remain will be resettled in communities that campaigned for them to stay in Israel. “Let’s put them to the test,” he said during the press conference. More than 1,000 Israeli families signed up with NGO Miklat Israel to host the asylum seekers at risk when they were still under threat of deportation. Some families signed along with their entire kibbutzim, saying the communities would be a “sanctuary” for refugees. 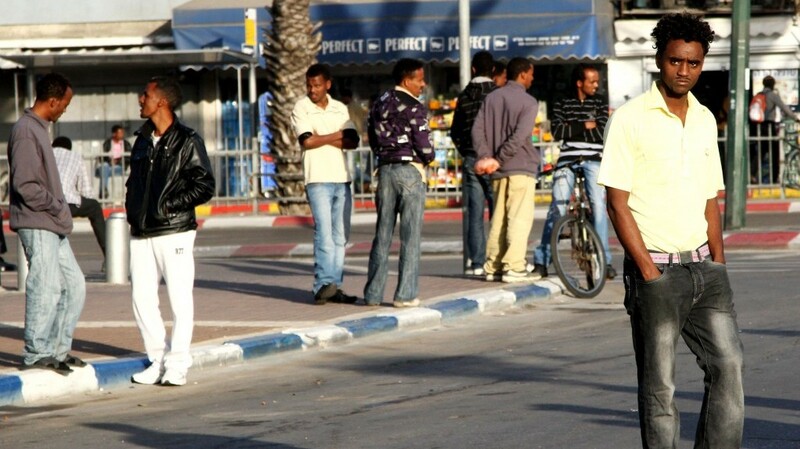 In a statement Monday, the UNHCR confirmed the agreement and backed up Netanyahu’s promise that the Africans will be relocated from Tel Aviv. “A joint working group will be set up with a series of objectives and a timetable to implement solutions for some 39,000 people over five years,” UNHCR said. The earlier deportation policy had been condemned by Israeli activists and the United Nations as chaotic, poorly executed, and unsafe. Asylum seekers previously deported to Uganda and Rwanda have told The Times of Israel they faced serious danger and even imprisonment after arriving in Africa without proper documents.